In 1966, The Beatles pushed the boundaries of rock music when they released their seminal album Revolver. Visually representing their sound, Klaus Voormann's design for the Beatles' record sleeve became instantly iconic and was recognised as such when, on 2nd March 1967, Voormann received the Grammy Award for Best Cover / Graphic Arts – the first time the award had been given to a rock album. Fifty years on, Voormann is collaborating with Genesis on a signed, commemorative edition of a book he has created, REVOLVER 50. 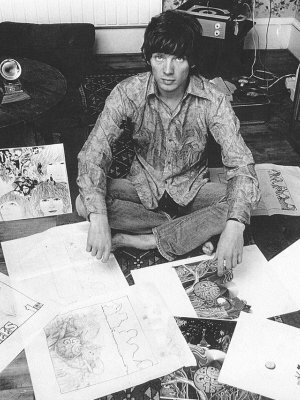 Telling his stories behind the making of Revolver and its cover design, each copy in Voormann's Grammy Anniversary Edition will come with a signed pencil drawing; a unique, one-of-a-kind artwork. Limited to 500 sets, this is a valuable opportunity to acquire a piece of the Revolver narrative, as well as a beautiful piece of art. To find out more, and order your copy now, click here.